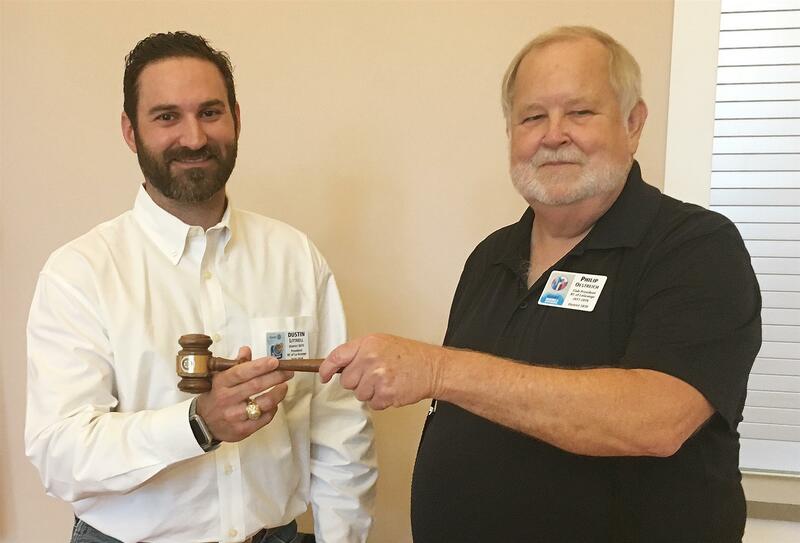 Dusty Littrell takes the gavel, becoming our new president for 2018-19. At Wednesday's induction of new officers, Phil handed over the reins to the incoming administration. Officers for the coming year include Tracy Harris, president-elect; Allison Shimek, secretary and president-nominee; Ray Langlois, treasurer; Ken Powell, sergeant-at-arms; and Phil Oestreich, immediate past president. Directors include John Wied (membership), Stacy Eilers (new generations), Larry Jackson (foundation), Stacey Norris (community service), Regina Keilers (club administration), David Ramjohn (international), and JoAnn Ayres (programs).